For International Students, there are a few things that go into picking their destination. This includes culture, education (of course), and food. 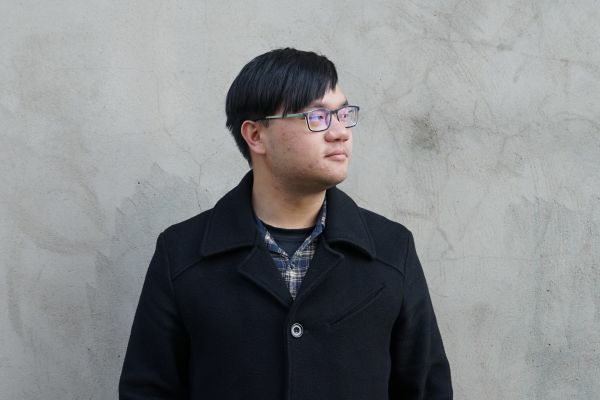 For Taiwanese student Yu-Te Wu, coming to Melbourne meant he would get a world-class education and a chance to expand his palate. Yu-Te Wu came to Australia to study Marketing. He’d completed his undergraduate studies in Business Administration and decided he wanted to hone his marketing skills overseas. With that in mind, Yu-Te enrolled in the Master of Management (Marketing) at MBS. It was a move that gave him the skills he needed to enhance his skillset. MBS also opened up opportunities like the Business Practicum. “I did the Business Practicum with ANZ where we worked with their corporate social responsibility department. Our team worked on building an app that brought different charities together so people could compare organisations and decide which ones they liked, and donate if they wanted to. The Master of Management (Marketing) provides foundation training in a variety of business and management disciplines, with specialist training in marketing. This course is about the means by which organisations attract and retain customers, including aspects of marketing, strategy, customer behaviour, branding, and international marketing. Find out more about the Master of Management (Marketing) here. Yu-Te was drawn to MBS by projects like the Business Practicum and the challenging curriculum, however there are other, culinary, perks to living in Melbourne. For students coming to Australia, or MBS, Yu-Te has some advice. “It’s really important to set short-term and long-term goals before coming to Melbourne. They should be measurable, and achievable. For example, you want to attend a certain number of networking events, or take a specific class.